For a long time I was nervous to write this review of my favorite game of all time. When I mention that Final Fantasy X is my favorite game/Final Fantasy of all time. People say that it's because it must me my first Final Fantasy game. Well it's not, in fact I played both VII and VIII before playing X. Every reviewer looks at their favorite game, says they want to share their opinions and experiences, but when it comes down to writing out the review, I'm sure everyone gets worried that they won't be able to convey the experience properly. That was my biggest concern. Even now, after the review is done, I'm finding things I left out or issues with the write up. I know nothing is perfect, but I want to explain the game in such high praise, because it deserves it. Anyway, let's get to the review. Gameplay: The game play in Final Fantasy X is very different from what became "standard" in Final Fantasy with the release of Final Fantasy IV. This is due to the introduction of the "Conditional Time Battle" system. Where you can see ahead of time who is going when. There are ways of affecting the "turns" with spells like "Haste" and "Slow". Even items can be equipped to improve the characters natural speed stat. Making the character act quicker in battle. Getting more hits and spells in before your opponent is a crucial to victory and very fun to set up once you have characters that string attacks together and never get hit from the enemies. 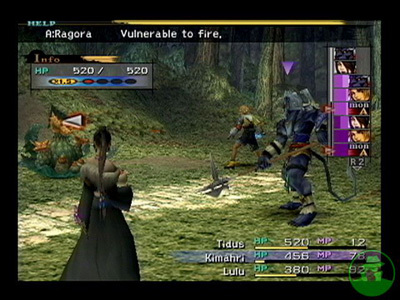 My favorite aspect to the battle system is being able to swap out characters in the heat of battle. Start out with Tidus, Yuna, Auron and finish with Wakka, Lulu and Rikku. Being able to change your party members in and out adds a tremendous amount of strategy. Molding a team of "damage dealers" and run into a group of enemies that are viciously assaulting them? No problem. Just call in your quicker party members to match blow for blow against those beasties or be quicker than them and turn the tides by using their tactic against 'em. Outside of battle stands a world that is in ruins. Remnants of past civilizations show what happens when something gets in the way of Sin. As you run around the world you can trigger random battles. Battling and moving onto the next point really is the life blood of the world map outside of villages, towns and cities. When in a populated area there are people to talk to, stores to buy things from (the usual weapons, armor, items and more). Every place has things unique to that area. Besaid has it's crystal clear shoreline, Kilika has it's lush forest temple, Luca has...well it has everything, but most notably is the giant Blitzball Sphere in the port area of the city and so on. Another thing I love about this game is the Recorder Spheres. Throughout the game you see amazing cgi cut scenes and through these great devices, you can purchase those scenes to watch as many times as you want through a business in Luca. There are several I watched over and over to make sure I saw everything there was in them. With this being a Final Fantasy game there's no way I can go without talking about the summons in the game. 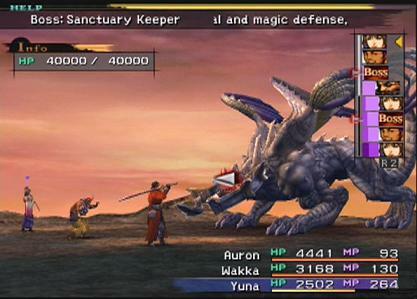 Final Fantasy has made a history of the epic beings that are brought to the summoner's world who called it. The difference that FFX brings to the table from the others is these summons actually become part of the party. When summoned in battle. They stay till defeated or dismissed. Each one has their own command sets and overdrives. You can customize them and even go up in level alongside the summoner. On their status screens allow you to develop there move set and their stats. Story: The story really revolves around two characters Tidus & Yuna. 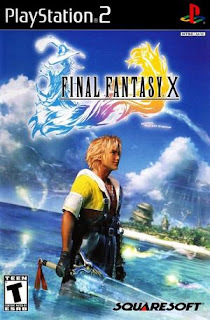 Tidus is a Blitzball player for the Zanarkand Abes & is the star player & has a pretty strong following. Yuna is a Summoner from Bevelle who lives on the Island of Besaid with her friends/Guardians Lulu, Wakka (a Blitzball player for the Besaid Aurochs) & Kimahri (a Ronso from Mount. Gagazet). Yuna is looking to become the Summoner who defeats Sin with the Final Summoning. Neither Tidus or Yuna have ever heard of each other until the creature Sin appears Tidus' world & decimates entire city Zanarkand. 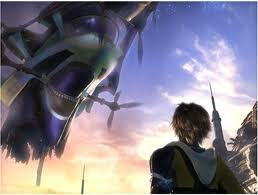 That event forces the two together by transporting Tidus from his world to the world of Spira. Which happens to be 1000 years into the future. Of course you couldn't tell that it's the future, because it's mostly destroyed and everyone lives very primitive existences. This is due to the power that is Sin. As a punishment for not following the teaching of Yevon better. Sin was formed as Yevon's response to the people of Spira no longer believing it it's beliefs. The people started turning back to the old ways of life. Being simplistic and focusing their days around the teachings. Trying to please Yevon enough to permanently end the attacks of Sin. The church of Yevon preaches that only people chosen as summoners have the ability to send Sin away, by way of the Final Summoning after the 5 Aeons (the ones you get by playing through the game). Graphics: Square-Enix proves that they can push systems to their brink. For a game that was released in 2001 Final Fantasy X has breathtaking visuals that no other game in that time period (possibly not even in the year after) could be compared to it. The cinematic flair in FFX are beautifully done & so life-like. The cut scenes are second to none. Square-Enix shows they understood the PS2 from the very beginning. Audio: Uematsu somehow keeps outdoing himself. He once again created a fantastic soundtrack to compliment the this brilliant game. The kick off song "Otherworld" is a surprising anthem that sticks in your head as the opening of the game plays in front of you. 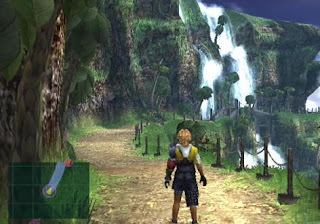 Replay: I would say it is very worthy of replaying over & over again, just to find everything in the game that there is to find & to just play the greatest RPG to come along. I've put an un-godly amount of time into this game. I would probably peg it at 400 hours across countless play through.